For 38 years I served as a pastor in the United Methodist church. I now live with my wife in the area of Hilton Head Island, SC. After officiating hundreds of weddings as a pastor, and now being called on to officiate weddings on the beach, resorts and within gated communities, I decided to have a web page designed – “Southern Weddings of Distinction,” for your convenience. 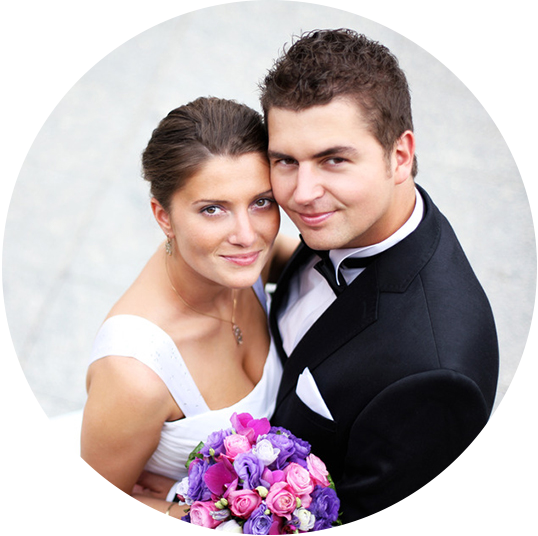 I will work closely with you, via my web page, phone/text, and e-mail to assure all details of your rehearsal and wedding ceremony are fully met to your satisfaction. I’m presently booking weddings for 2016 and 2017. To calendar your wedding, you can e-mail me at Dan@WeddingsandVows.com. You can also call or text at (304) 419-0149 . My name is Dr. Dan A. Hogan and I was born at the Fort Eustis military base in Newport News, Virginia. I grew up in Elkins, West Virginia where I was educated in the Randolph County School System, graduating from Elkins High School in 1970. I earned a BA in psychology from Asbury University, Wilmore, Kentucky in 1974 and received my Masters of Divinity degree from Asbury Theological Seminary in May 1977. After serving as a minister for 15 years in the West Virginia Conference of the United Methodist Church, I received the Doctorate of Ministry degree in 1992 from Drew Theological Seminary, Madison, New Jersey. Having served a career as a United Methodist minister, three favorite areas of service included teaching, counseling and group facilitation. With an undergraduate degree in psychology. I have found the Myers-Briggs type indicator to be especially useful as a counseling tool for couples preparing for their wedding ceremony, as well as those seeking individual counseling. Pre-marital counseling is available upon request. Officially having retired from the West Virginia Conference of the United Methodist Church on July 1, 2014, I am now enjoying spending additional time with my wife, two sons, their wives and our granddaughter. We are anticipating the births of two additional grandchildren within the year. As a retired ordained clergy, one of the greatest surprises of this new season in my life has been the opportunity to officiate destination weddings. It is a joy to meet so many wonderful couples from all over the United States and be a part of their most joyful affirmation of love and commitment to one another. Whether a large formal wedding celebration or a small intimate gathering of family and friends, your “Southern Wedding of Distinction” ceremony will be uniquely designed just for you!